Times are changing in publishing and publishers know it. Almost every publisher recognizes that their value to authors, and therefore their future, is dependent on their ability to deliver effective marketing at scale. In this day and age, that means digital marketing, which also has the characteristic of being “data-driven” marketing. And not only is that a science that is really less than 10 years old, it is changing all the time. Ten years ago many of the most important components of digital marketing for books today — Twitter, Facebook, Goodreads — barely existed or hadn’t been born yet. They certainly didn’t matter. Publishers can’t address their digital marketing challenge by simply spending more because the choices in digital marketing are endless. They have to be smart about what they do. Which means they have to be smart about something for which there is little established wisdom and no deep experience inside of publishing houses. For a large part of the past year, I have been learning about digital marketing for books from the man whom I will regard as The Master until the day comes when I meet somebody who knows more. He’s Peter McCarthy. 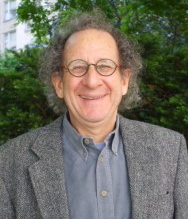 Pete started his career with nearly 3 years at The Reader’s Catalog, New York Review of Books, and the Granta family of publications. Reader’s Catalog formed part of the backbone of Bn.com 1.0. Then Pete spent six years at Penguin in the early digital days helping them build a DAM system and put out ebooks for the first time, followed by six years at Random House pioneering their digital marketing efforts. Pete has made the point repeatedly that much of what he knows, does, and is teaching me is already well understood in the modern world of branding and marketing. The distinctions among psychographics, demographics, and behavior, and their importance in marketing, were new to me but are familiar stuff to people who sell Pepsi or Toyotas. Pete’s really invented something in publishing by looking for comparable products that aren’t other books, but outside publishing they know all about seeking comps that aren’t precisely the same as their own product. The techniques Pete employs to find audiences in people that are like the known audiences for a book are standard tools in consumer marketing outside publishing. But that doesn’t mean publishers can just hire big digital agencies to help them. It won’t work. 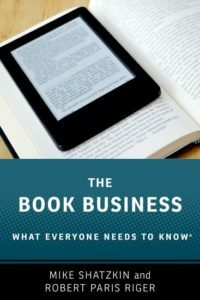 Because while publishing can use techniques that sophisticated marketers are using to sell other products in other places, the truly more complex world of books will be hard for them to cope with. And marketing budgets for a title that are rarely five figures, often three figures, and sometimes less than that don’t fit the best agencies’ idea of “workable”, either. 2. They don’t have the capacity big publishers need to run hundreds (or maybe even thousands) of campaigns at one time with realtime “budgets” (or “go, no-go” gauges). So the big agencies wouldn’t know how to deal with a publishing house. The granularity would frustrate them and they’d freight each ISBN (publishing speak for “SKU”) with too much overhead. That has left most publishers on their own, with service providers delivering some by-title assistance (you can hire somebody to do an author’s tweeting for them), but with the publishers themselves left to sort out how to make maximum use of a book or author’s digital footprint and social media presence to drive sales. And it is not really surprising that Pete McCarthy, having had the opportunity to meet the marketing challenge across thousands of titles and authors and hundreds of genres, topics, and imprints, would have figured out a lot of things that elude the publishers who aren’t digital marketing sophisticates and the digital marketing experts who rarely, if ever, encounter the granularity and product diversity that characterizes book publishing. I’ve learned a lot from Pete, but I’ll never catch up to him and I won’t even try. He uses more than 100 different digital tools to help him understand followers in various social platforms and who they are. He is using a marketer’s understanding of each individual’s demographics, psychographics, and behavior (and behavior’s subset, intent), to define the groups of people he sees clustering. That, in turn, helps him find groups of people who are similar to the ones who already like the author or the book. Pete has articulated many principles which make a lot of sense, even to somebody who didn’t know about demographics and psychographics and who has not worked his way through even a handful of “listening” tools, let alone a hundred or more. 1. The digital marketing menu contains nearly an infinite number of items. That results in a tremendous amount of wasted effort spent trying things that a little research would have indicated will never work. 2. The key to making sales is to put the right message in front of the right person at the right time. Research finds the right people; testing finds the right message and the right time. 3. The various tool sets will allow you to profile the “followers” of a book or author in Facebook, Twitter, or LinkedIn (or by securing an email address) and it will enable you to understand for each of them what kind of following they have. This is critical research to do before you invest effort and time in actual marketing. 4. Another key research element is to carefully pick your nomenclature. Tools can also tell you how common various words and terms are in searches made through Google, Amazon, and other venues. This informs the best choices for metadata tagging, of course, but it could also affect a book’s titling. Understanding the book and author’s digital connections and the right language to describe the book you’re selling are “foundational” elements; everything flows from them. 5. The whole concept of marketing “budgeting” needs to be rethought. While the trap or danger in digital marketing is its infinite number of possibilities, the opportunity is that the results of efforts are visible and measurable. So everything that is tried should be measured and evaluated, continued it if is working and either altered or terminated if it is not. This reality collides with the historical practices and commercial realities of publishers, particularly big publishers. Editors, who have to sign up the books and keep agents and authors happy, want to tell agents and authors what their marketing budgets and efforts will be. Whether the book is selling or not, agents and authors don’t want to hear that the marketing spending was cancelled because the efforts weren’t adding value. But a house can’t just add to the budget when something is working and not cancel anything that is not, or they’ll go broke. 6. The whole concept of “time” also needs to be rethought, both “time on the clock” (work people do) and “time on the calendar” — not just how long programs run (as above) but also when they take place in relation to the lifecycle of the book. In the digital era, whether books are well-represented in stores at any moment is not necessarily the key determinant of how well they’ll sell, so pushing a backlist book that might be thinly distributed but which is suddenly timely is perfectly sensible (“the calendar”). And it wasn’t that way five or ten years ago when marketing efforts wouldn’t be extended if books weren’t in the stores. It is also true that the external costs of digital marketing could be very low but a campaign could consume a lot of in-house time (“the clock”) with copy creation, design, and posting. 7. The key to successful digital marketing is to do the research that finds the right messages and targets, test the messages to the targets looking for a defined result, measure the impact, and then adjust the messaging and targeting. Pete calls that “rinse and repeat”. The objective is to find replicable actions that provide results with an ROI that can be continued until the ROI stops. After Pete opens the day by introducing his basic approach, we’ll have a panel of top publishing strategists — Rick Joyce of Perseus, Angela Tribelli of HarperCollins, Matt Litts from the Smithsonian, and Jeff Dodes of St. Martin’s Press — talk about how they apply digital marketing in their companies. Then Murray Izenwasser of Biztegra, a top digital marketing company, will clarify the core principles of using consumer demographic, psychographic, and behavioral data before Susie Sizoler of Penguin covers how publishers can build powerful customer databases and reader insights. Marketers Matt Schwartz of Random House, Rachel Chou of Open Road Integrated Media, and Brad Thomas Parsons of Houghton Mifflin Harcourt will talk about how they promote, including a “lightning round” of commentary about how and when to use the most important venues and tools: Amazon author pages, Twitter, Facebook, Goodreads, and many others. We will have a round of speed-dating, so attendees can meet with key sponsors and expert speakers in small groups and get their individual questions answered. And we’ll conclude the day with Erica Curtis of Random House on best practices for measuring and analyzing your marketing ROI, and two panels. The first, on “how digital marketing changes budgeting and timing”, will feature case histories from Sourcebooks, Running Press, and at least one other publisher. The second on the new collaboration required among authors and marketers, will feature agent Laura Dail, outside marketer Penny Sansevieri, inside marketer Miriam Parker of Hachette, and an editor still to be selected. This Marketing Conference is co-located with our Publishing Services Expo, which I described in a previous post, and attendees of the Marketing Conference are welcome to sit in on any part of PSE as well. At the breaks, sponsors and many of the speakers from both events will be available to the audiences for both events. Full disclosure and a teaser “announcement”: Pete McCarthy and I are forming a digital marketing agency to apply his knowledge on behalf of publishers, authors, and agents. We’ll reveal more details, including our starter assignments, over the next few weeks.